The Epiphany School provides an educational environment that inspires academic achievement, fosters spiritual growth, and celebrates the individual. We strive to instill in our students a love of learning and a desire to explore the beauty of education. 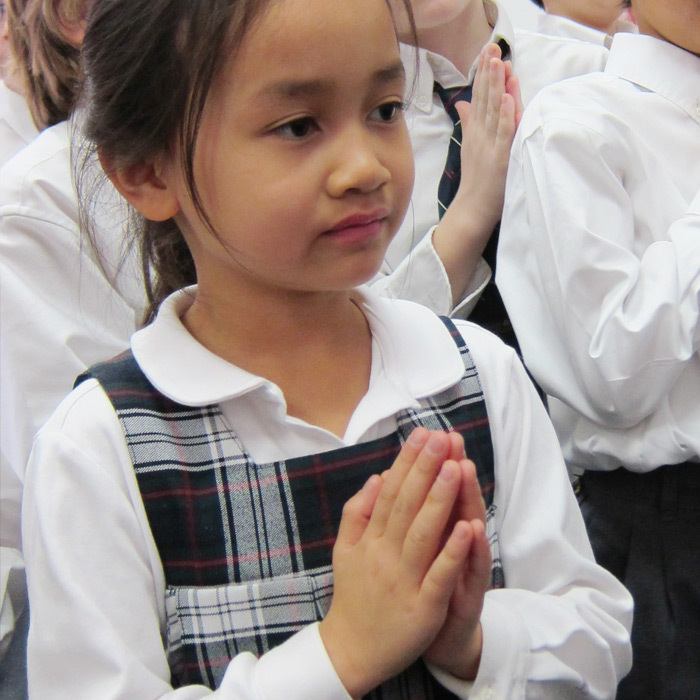 Our Religious Studies Program is the cornerstone of the school’s curriculum. It focuses on exploring and deepening the student’s relationship with Christ, His Church, and His message. Students are taught doctrine, experience liturgy and the sacraments, engage in dialogue about various religious traditions, discuss scripture, ethical questions and morality, and deepen their prayer life. The religious studies curriculum instills Catholic Social Teaching and Social Justice in our students. This teaching promotes active learning that translates into active faith. From the Toddler Twos through the 8th Grade, our students receive a well-rounded, highly competitive, and individually challenging academic experience, grounded in the value-centered Catholic tradition. The Epiphany School fosters creativity and communication, encourages analysis, and teaches our students to collaborate with one another. They become confident in their intellectual abilities, secure in their sense of purpose, and committed to improving the world as moral and ethical people. The Epiphany School is blessed with an extraordinary faculty. Together with the administration they are always striving to widen their perspectives. Our faculty is always learning, enhancing their content knowledge, and seeking new means of guiding our students toward discovery. We want our students to become lifelong learners. We partner with students, teachers, administrators, and parents to assure a nurturing, supportive school community. The Epiphany School fosters creativity and communication, encourages analysis, and teaches our students to collaborate with one another.